FREEbies From 7-Eleven All Month! You are here: Home / Instagram / FREEbies From 7-Eleven All Month! 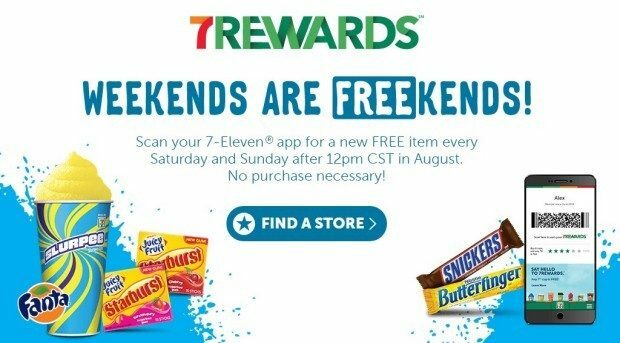 If you have the 7-Eleven mobile app you can get a FREE item each weekend in the month of August! Scan your 7-Eleven® app for a new FREE item every Saturday and Sunday after 12pm CST in August. No purchase necessary!